If the past is any indication of the future, when it comes to Medicaid, Governor Kasich may still come out the victor. Unfortunately, that would mean a loss for Ohioans. True, the new Ohio budget law didn’t grant Kasich’s wish to expand Medicaid. But in the lyrics of the great 20th century philosopher Mick Jagger, “You can’t always get what you want, but if you try sometimes, well you might find you get what you need.” That philosophy has worked fairly well for the progressive movement, and the Democratic Party, for over 100 years. Of course, it helps when the other side, the Republicans, have members who are willing to go along. An industrial complex has two main features. First, an enterprise must have a large agency or a large number of smaller agencies assigned to manage it. The second feature is that looters must be able to hide and effectively use emotional, even religious-like, arguments to support their looting. The Department of Defense was probably the only agency that could legitimately be called an industrial complex in 1961. With the growth of government, however, industrial complexes have mushroomed; of particular note are the three E’s of energy, environment, and education. All three of these departments were started after Eisenhower’s speech by both Democrat and Republican lawmakers. What’s all this got to do with Ohio and Kasich? Through the gradual collapse of federalism, in which power is divided between the national and state governments, states and local governments have seen their powers dwindle because of the rise of these industrial complexes. In fact, one reason why Kasich wants to expand Medicaid is to tap into promised federal health care-industrial complex money. Kasich is either naïve or self-serving, because while industrial complexes themselves enjoy tremendous growth, they destroy, corrupt, or greatly weaken the legitimate purposes of their respective missions. That placed the fear of God in them so the serfs will never dare prevail? Unfortunately, however inviting it may be, the path of least resistance is the path to serfdom. And conservatives are not above reproach. Interestingly, the DoD is one of the few conservative industrial complexes, primarily because its basic mission is specifically mentioned in the constitution and thus is a legitimate function of government. But although a defense department may strengthen the country, a defense-industrial complex weakens it. Therefore, the Right’s blind defense of the DoD is no better than the Left’s blind defense of the other governmental departments. 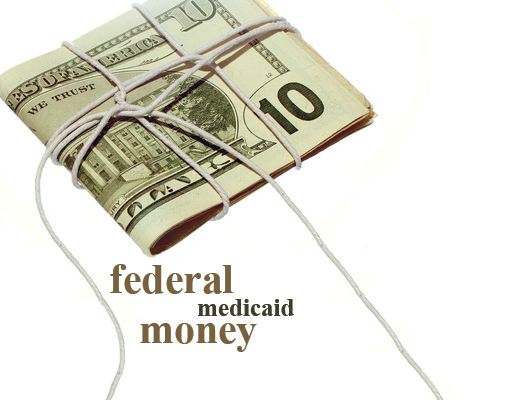 Like the DoD, Medicaid expansion is hard for some conservatives to disagree with. But the difficulty isn’t due to a sound governmental principle that Medicaid expansion inherently contains; it’s due to the emotional appeal of health care and the promise of federal money. The Constitution is blind to both, preferring reason over pathos, and liberty as its incentive. Michael Hamilton contributed to this article.